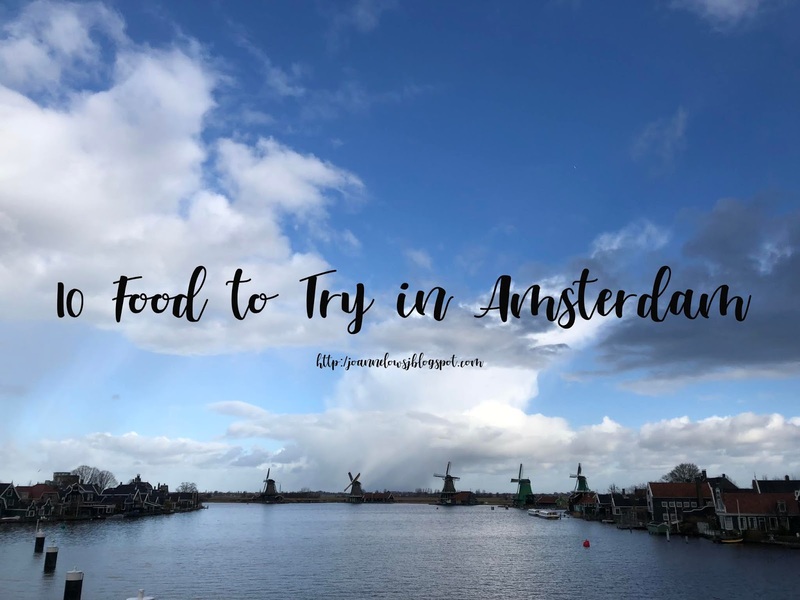 During our 4 Days 3 Night in Amsterdam, H & I managed to explore and find some of the good eats. We manage to try the traditional Dutch food such as Pea soup as well as stamppot. Also, we went to queue for the famous cookie in Amsterdam! Honestly, 4 days in Amsterdam is a little too short! Stroopwafel is one of the most popular sweet treat in Amsterdam. if not, it is the national snack. A stroopwafel is made of thin layers of dough filled with caramel syrup. Best served fresh on the spot. Otherwise, you can have it with a hot tea! Shared by the Original Stroopwafel owner in Albert Cupy Market , he said that the stroopwafel is best served by placing the stroopwafel on top of hot tea. It can help to warm the stroopwafel making it delicious again! We bought the stroopwafel from a few place and thought the original stroopwafel in Albert Cupy market is still the best. Do note that there are a few stalls there and the best is located in the center of the market. Frites aka Fries is one of the most popular snacks you can in the streets of Amsterdam. Unlike the usual fries we always have, these fries are thick cut fries. Served in a piping hot paper cone slathered with different sauce! We visited Manniken Pis near Amsterdam Central and it was good! Freshly prepare and serves in big portion! H & I ordered the Large size and managed to finish it all! Initially, We wanted to order cheese sauce but it was out of stock. End up having Manneken-Pis Saus and onion to go with our thick fries! We tried spare ribs aka pork rib in Amsterdam twice and honestly, both are really good and so close! Meat are tender and fall off the bone easily. We tried the spare rib in Castell Bar-beque restaurant in Amsterdam and it was amazing! Although, the seat arrangement is a disaster, the spare rib is really good! Stamppot also known as ‘Mash pot’ is a Dutch traditional dish that involves mainly potatoes and vegetables ( Such as Carrot, Onion or Kale). It is usually served with a big piece of sausage! They are usually the comfort food for Dutch. We tried the Stamppot while we were in The Pantry restaurant and yes, potato is our comfort food too! Not a fan of Pea but this green stew has surprise me! It does not have the strong raw pea taste. Instead, it is quite pleasant. The soup is made from dried green peas or split peas, vegetables and minced meat. It is prepared by using low heat on stove and stirring it regularly to avoid being burnt. It looks like green bean soup back home (definitely taste better than pea soup!) Most Dutch restaurant serve this soup. Together with the Stamppot we had tried in The Pantry restaurant, it was delicious! Poffertjes are baby pancakes covered in butter and powder sugar. They are cute, fluffy pancakes and makes the perfect dessert! These pancakes are prepared using a special pan with shallow indentation at the bottom to make it perfectly puffed! Many restaurants serve Poffertjes as dessert too! We didn’t went to find the best Poffertjes recommend online. Instead, we just had it in one of the Dutch restaurant – The Pantry. It was good! Another street food that we found while exploring the city is Croquettes from Febo. These hot snack behind the walls are delicious! They offer a wide range of snacks from tasty fries, minced-meat hotdog and of course croquette on a roll. We met a father and daughter while we were there sharing second serving of the croquette from Febo. How sweet? The apple tart is consider a traditional dessert in Amsterdam. The apple is mix with cinnamon, sugar and lemon juice, making it not overly sweet. These apple tart is served with a thick crust. We tried the ones from Winkel 43 and it is serves with a dollop of cream. Usually, I will skip the cream but we finished this one. Light and not creamy! Plus, I love the crust! However, I would prefer the tart to be serve warm. Otherwise it would have been perfect. Who knew that one bakery in Amsterdam decides to sell just 1 item would be cookies? Every piece is handle like diamond, with lots of care and cautious. Unlike other cookies, the Chocolate Cookie is stuff with generous serving of white chocolate. Best consume while its warm and with a cup of hot tea because it’s a little sweet. We bought 2 box home as gift and they love it! Cheese also known as the yellow gold in Netherland don’t win their title for nothing. The cheese are crafted by artisan. Some are even award winning cheese! We bought our cheese from Kaaskamer and it was really good!